All things have to come to an end, either it be a good thing or a bad thing. 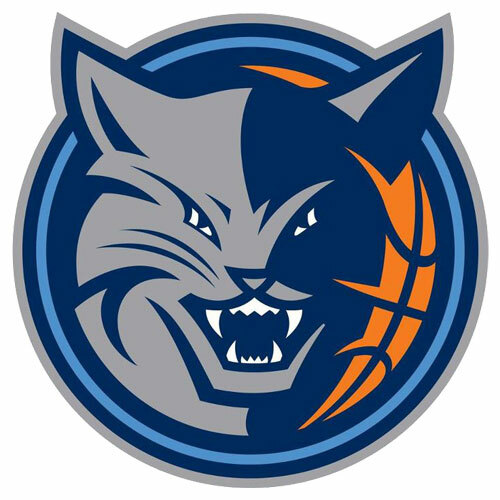 For most of the time of the Charlotte Bobcats existence, they have been a bad thing. Fans were subjected to a below mediocre team for ten years. Two of those years the Cats actually made the playoffs and only once have had an all star. Fans pleaded for the day that the original “Hornets” nickname would come back to the city. Luckily when the New Orleans Hornets decided that their city has nothing to do with Hornets and changed their nickname to the Pelicans , the Hornet nickname was available again. So when the Bobcats lost their fourth game in a row to the Miami Heat last night, Charlotte played their final game under the Bobcats nickname. Last season can definitely be seen as a success for the Bobcats.The team picked up big man Al Jefferson last summer who was the main catalyst to their successful season. The Cats posted a franchise second best 43-39 record this past season and seeded 7th in the Eastern Conference. Even though the defending champions made short work of them the Cats never gave up and always kept the scores respectable. For a team that has been absolutely terrible for their entire existence (they only won 7 games two years ago) this was huge for them. If the Cats can make the right moves this summer then they should have no problem getting back to the playoffs next year. They should have some cap space left over to sign an impact player, but that really depends on who opts in or out to be effective. Last season they got lucky when Jefferson decided to sign so hey maybe somebody might follow in his footsteps. Free agency is a little shaky but I’m sure somebody will want to play for the Hornets. Where the Cats could really do some damage is the NBA Draft. There is a chance that they could obtain the Detroit Pistons lottery pick but it would have to fall out of the top 8. There’s a chance on that one but we won’t bank on that one. The Cats have the 24th pick (via Portland) and the 45th pick. My advise would be to pick a well polished college player with some experience. The last few draft they have gone for younger players based off of their potential but this time they should look for someone who can come right in and play with the big boys. Next season the Bobcats will be no more and the Hornets will be back in town. Hopefully the Hornets build off of what the Cats did this past season and keep on winning.